Meet your neighbor and Illini West Senior Madison Elizabeth Merritt of Carthage. Madison was born on October 7th, 1996 at Memorial Hospital in Carthage, the daughter of Matthew and Michelle Merritt. Matthew is a farmer and Michelle is a Zumba instructor and a stay at home mom. Madison has 5 siblings. Matthew Jordan Merritt (24) St. Louis, Missouri, going to chiropractic school, Morgan Elaine Merritt (22) graduated with master in Engineering and Technology Leadership, Mitchell Jackson Merritt (15), McKenna Marie Merritt (10), and Mylee Marjorie Merritt (7) all of Carthage. She is the granddaughter of Donald and Linda Merritt, farmer/bookkeeper, Vern and Sandra Hurlburt, mill operator/ bank teller, Sandra Merritt, homemaker, all of Carthage and Dr. Michael and Ann Salrin of Earlsboro, Oklahoma, doctor/homemaker. Madison works at Memorial Hospital as a COOP Student this year. She also works at Celebration School of Dance since 2011 and at Sly Fox Food Service/Catering since 2011. She has baby sat and in the past was a lifeguard at the Carthage Pool. Madison has been accepted into youth leadership, accepted into National Honors Society, is a Youth Leader in local 4-H club and is the treasurer for Project Pals 4-H club. Her favorite vacations have been going to visit her cousins out in California over the summer and all the girls in her family going to Florida during the spring. 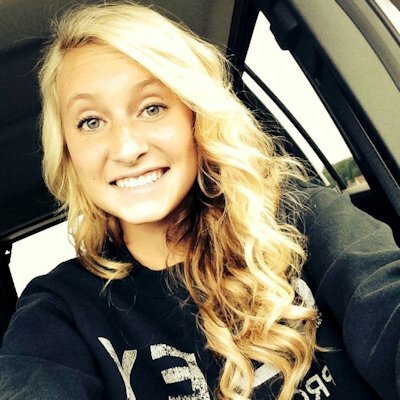 In her spare time, Madison enjoys cheerleading, dance, tumbling and observing at the hospital. She is very involved while in high school being a member of FFA, FBLA, 4-H, NHS , the International Club, SADD Club, Git "R' Done Club, Heart Ministry and Catholic Heart Work Camp. After graduation in the spring, Madison plans to attend a 4 year university and start with the pre-med program; and later plans to attend medical school after taking the MCAT and going into the surgical field, go through residencies and internships and become a specialized surgeon.